As people go back to work and family return to their homes, I think we can declare Christmas 2011 over for the Cass Mob. The fridge has some space in it, the wine rack has been decimated, Cyclone Grant averted in Darwin, and everything is getting back to normal, including the grandchildren’s excitement levels. 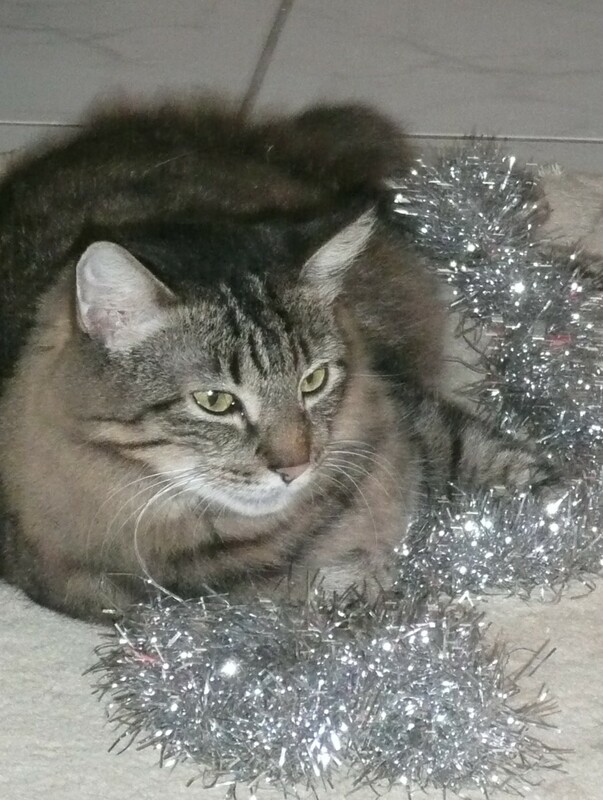 To our surprise the smallest grandchild didn’t undecorate the Christmas tree and the cat also had only one or two goes at climbing it and settled for lying decoratively near the silver tinsel. One daughter has returned south, ready for a move to Kenya in the New Year and the round of celebrations have finished for those of us still in Darwin. We had a great time even though it was all low key. The Christmas pudding was steamed, the cake and my Grandma’s shortbread recipe were ready on time and my grandson and I made up my best friend’s shortbread (her Grandmother’s recipe). We also had a craft day some weeks ago, making up some bon-bons (crackers) – I’m pleased to report that the jokes I got off the internet were greeted with the requisite groans! Xmas Eve was our traditional ham and prawns with interesting salads, plus some Christmas pudding and sweet-treats for afters. We all loved our eldest grandchild doing a reprise of Christmas carols from his pre-school concert. Christmas Day with our son-in-law’s family was traditional Christmas fare, all gathered around a long table mixing the families…thanks go to the other Nanna, ably assisted by Chef Jamie, for the wonderful meal and the Tiramisu queen for her dessert!. Christmas 2011 was a relaxed and happy time. So, thinking that all the celebrations were complete, how delightful to open the computer yesterday and find wonderfully kind and supportive blogiversary greetings from my genie buddies. It was as much fun as opening Christmas presents from under the tree! Thank you for your virtual gifts! This entry was posted in Advent Calendar, Cass family history and tagged Christmas memories by cassmob. Bookmark the permalink.